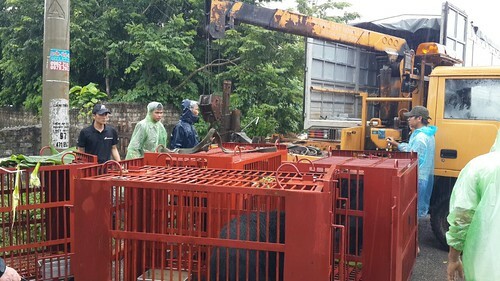 Seven more bears have been rescued by Animals Asia from Vietnam’s Quang Ninh province – just 24 hours after Vietnam’s Traditional Medical Association agreed to phase out bile use. The agreement to end all use by 2020 has given animal welfare charity Animals Asia hope that bear bile farming can be eradicated entirely in Vietnam within five years, as government and local authorities increasingly offer their support. 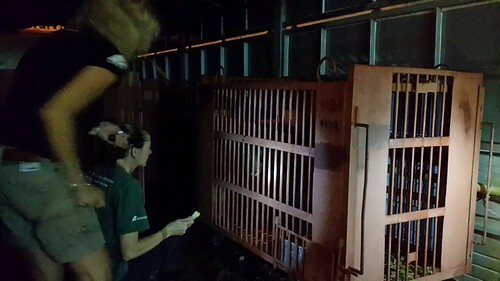 Yesterday, bears Kay, Emmy, Rose, Long, Hoa, Quang Yen and Tuffy were rescued from two farms. Originally Animals Asia had been allowed to rescue only two bears from the first farm in June this year, after the bear owner refused to give up his least sick bears. But continued local authority pressure paid off and the the team were allowed to rescue the remaining bears at those sites. 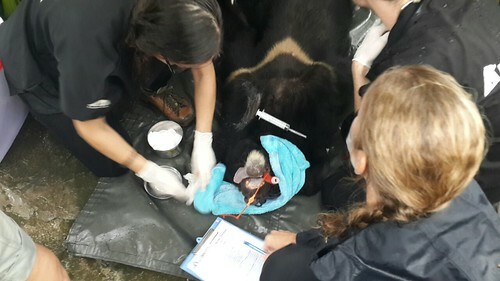 Earlier a Prime Ministerial decree had requested that all bears in Quang Ninh province should be made available for rescue by Animals Asia before the end of September. 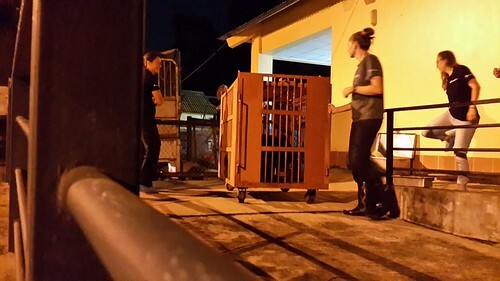 Nine bears now remain, and Animals Asia expects to rescue them within the next few weeks. While bear bile farming has long been illegal in Vietnam, the combination of poor enforcement and farmers utilising legal loopholes has meant the trade has continued. However last year the number of bears caged in farms dropped by 700 to 1,245 – a sure sign that the market is dwindling and the campaign to end bear bile farming is increasingly effective. 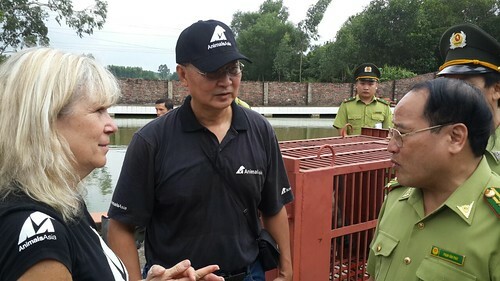 Yesterday Animals Asia Vietnam Director Tuan Bendixsen was joined by Animals Asia CEO and founder Dr Jill Robinson on the rescue, as well as Pham Van Phat, Director of Quang Ninh Forestry Protection Department and his officers. “It feels like Vietnam is making giant strides towards ending bear bile farming. Just two or three years ago this would have been unimaginable, but now we have both government and traditional medicine practitioners showing their support. 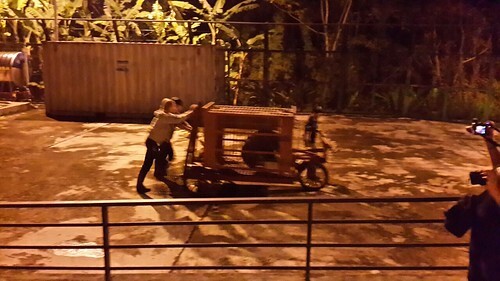 Animals Asia has rescued more than 550 bears from the bear bile trade in China and Vietnam. In China, where bear bile use remains legal, more than 10,000 bears remain in small cages facing daily bile extractions.